My favourite is the one where you have to put in button combinations and then you transform into a giant fighting robot or is it a super hero.....? Also the Guitar Hero game before Guitar Hero was a thing. Dead to Rights: Reckoning on PSP - a decidedly poor average on metacritic, and probably mostly forgotten, but I enjoyed it greatly. Would happily blast through the game again. There is something about the general technical level of PSP games that makes me forgive their flaws, for some reason. Don't ask me why. I genuinely enjoyed all of these. Fast paced and happy to throw realism to the wind in favour of fun physics, I really had fun with San Francisco Rush despite it's poor to average review scores. It even had non-linear paths through the levels and secrets to find (like an underground cave full of ramps and loop-de-loops) if you decide to go off the beaten path. But I really like this game. The graphics for the time were really good (especially the water effects), it plays solidly, and takes enough good elements from Zelda to be fun to play. Literally the only complaint I have is the ending (comes a bit out of nowehere), and I would've preferred more Arwing sections. But I have nothing but fond memories of this game. Starfox Adventures was a fantastic game, and as you said, the graphics in particular were amazing for their era. 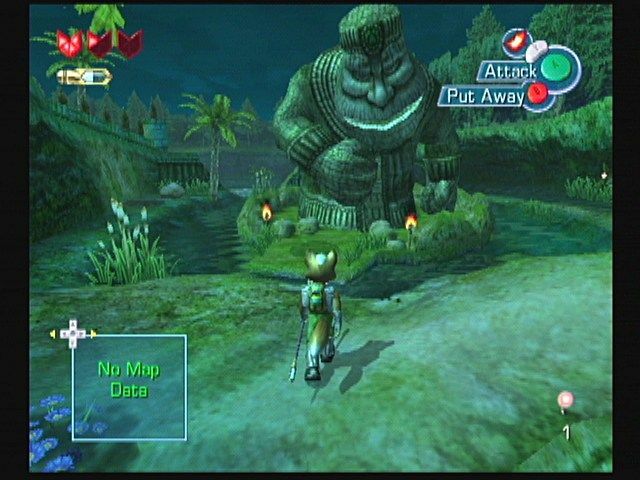 In hindsight, they probably should have kept it as Dinosaur Planet rather than include the Starfox characters (most of the complaints did seem to come from fans of that franchise), but i personally found it to be a thoroughly enjoyable adventure nethertheless. 'starfox fans' don't have a right to complain about eton mess. at the end of the day, there was no starfox game in development at the time. it had star fox characters in it - so? don't play it. i'd be more offended by Star fox Assault, which was a genuine attempt at a StarFox game that was straight up eton mess. Adventures is a decent game. My only issue with Adventures was the trials, never finished it due to getting stuck on the one where you had to keep the the line in the green bit. Got right narked with having to do the same section again and again because I couldn't do an arbitrary minigame. The rest was okay, the trials can do one. I have to say Chameleon Twist, and Mischief Makers would be my top from N64 days, and Sonic Unleashed on the Wii. I have some more but I'll post em later. I do enjoy Starfox Adventures and I do believe it gets a whole lot of negative and unnecessary attitude for trying something a bit different. The same goes for Metroid: Other M, I know all of the criticism it gets which again I think its largely unfair. Team Ninja tried a different spin on it and I think it worked well. But I will agree that Samus is quite whiney throughout and will only use her weapons when she's given the go-ahead. I was expecting her to find them the further I progressed through the game not to be told she had them all along and wasn't allowed to use them. Those dumb sections from Other M in which you had to search for something in first-person mode aside, I thought it was a solid game. An underrated gem to this day. Sure, they ruined Samus but the gameplay was solid. Legitimately as bad as Sonic 06, if not worse, and I love it. Most Pokemon spin offs: Mystery Dungeon and Ranger most notably, I think the stories are brilliant and it's always good for Game Freak to do something a bit different with the franchise. I also loved the Conduit on the Wii for its online multiplayer and My Sims was great fun when it came out. Reviews for it are often a mixed bag and the gameplay is repetitive for some. I thought it wasn't but for the life of me I can't remember the developer's name. Christ I returned this game as soon as I started the second level. I'd rather subject my self to Sonic kissing Princess Elise in that Final Fantasy X Sonic fan fiction game that happened. 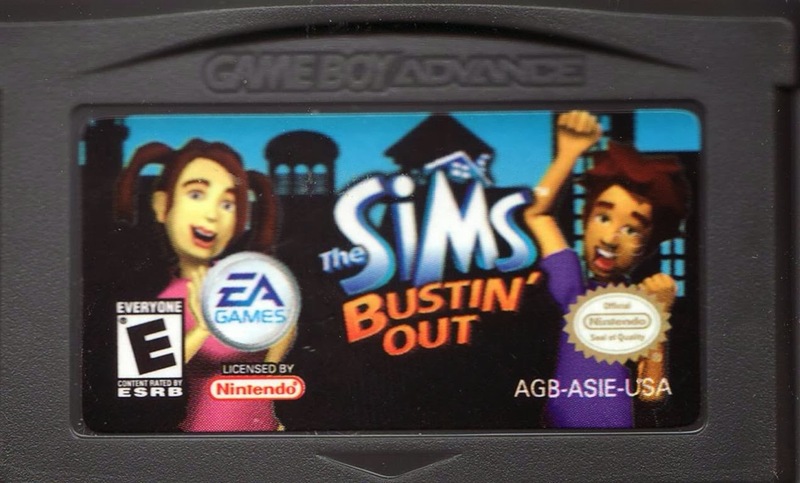 It was like regular Sims, but with a story! And aliens and stuff. This game was just bad, grindy mechanics, pseudo RPG and none of the Platforming elements of previous Klonoa games. Though to be fair Klonoa games aren't that great from the get go. I still enjoyed playing this game on the good old gba emulator. Wow. I played the hell out of that when I was younger (it was right up there with the Pokémon and Mario games for me), but I haven't heard anyone else so much as mention it since. I've never read a review of it or anything and I'm not going to: I'm just going to keep thinking it was brilliant. Now I'm watching videos of it and feeling nostalgic. The aliens thing was weird, didn't you suddenly find out at the end that you were an alien? The Velocirooster was terrifying but also kind of an amazing thing to include. Every open-world game should have something like it. LuiTheMinus wrote: Though to be fair Klonoa games aren't that great from the get go. Lunatea's Veil is one of the best PS2 games, while Door to Phantomille is a solid platformer that still holds up today (with a release on PSN and the remake on wii). lol95 wrote: Reviews for it are often a mixed bag and the gameplay is repetitive for some. I thought it wasn't but for the life of me I can't remember the developer's name. Chunsoft did the ones I played, not sure if they've done them all though. And it's always worth pointing out reviews don't constitute a game being considered bad, reviews generally count for very little other than an initial view from one person's perspective, among regular people they're praised very highly. I'll rephrase that, they're fun games, and really solid platformers but not worth a third replay imo. I greatly enjoyed the Wii Remake. Yeah it was one of the many endings of the game, if you decided to find out if you were an alien you had the choice to leave the planet, or continue living as a sim. Okay, guys. Let me tell you about one of my favourite games of this last gen.
About a year into the Xbox 360's lifespan, a small japanese developer called K2 LLC put together what would be their final foray into the Tenchu series, Tenchu Senran, or Tenchu Z. Tenchu is a series that has been around for a while, and people generally look at the first three (including Wrath of Heaven, which was also developed by K2) as cult classics. 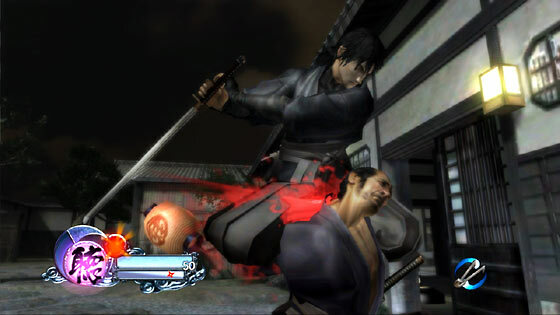 But in 2004, Activision sold the rights to Tenchu to From Software, and that seemed to mark the beginning of the series' problems. 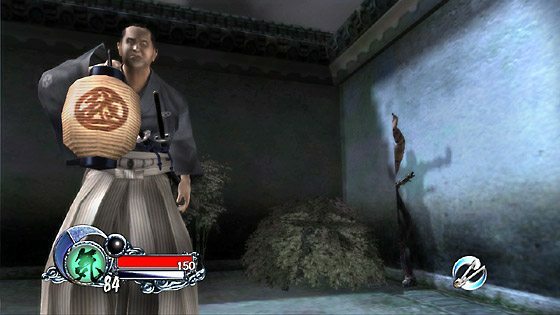 Fatal Shadows was met by lukewarm response, Time of the Assassins on the PSP didn't even get a USA release, and Dark Secret (remember when all DS games had to have this corny abbreviation?) sits one point on Metacritic below High School Musical 2: Work This Out! and one point above the DS port of Jackass: The Game. So, needless to say, the Tenchu franchise wasn't looking so good. But with a new generation of high definition consoles on the way, online play as a standard, and the backing of Microsoft Game Studios, maybe, just maybe, K2 would have been able to turn it around. Just watch like any 30 seconds of this video. No character has any emotion, I don't remember any of their names, I didn't feel any particular desire to kill or save anyone, and in lieu of series mainstays Rikimaru and Ayame, we have a silent(ish) protagonist who goes around stabbing eton mess. At one point your teammate is badly wounded, kidnapped, tortured and eventually murdered by the antagonist, and you feel nothing, because your teammate is a non-person and you've killed hundreds of people up to this point. And those 50 missions? The same 7 or 8 maps (with three different enemy spawn patterns each) and basically one objective (kill X) recycled over and over and over again. Combat? Ughhhh. 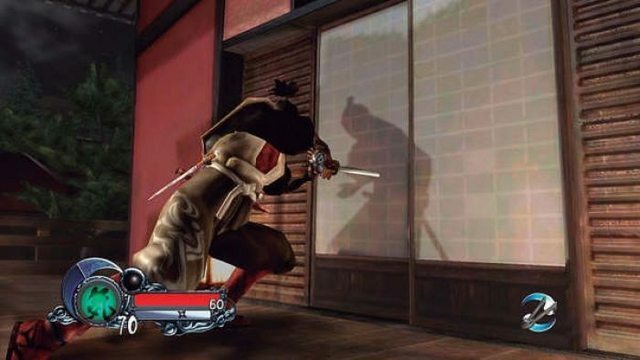 See, Tenchu is a stealth game, and if you're in direct combat, you've probably gooseberry fool up. And I feel like anyone who is a fan of this game would tell you that. 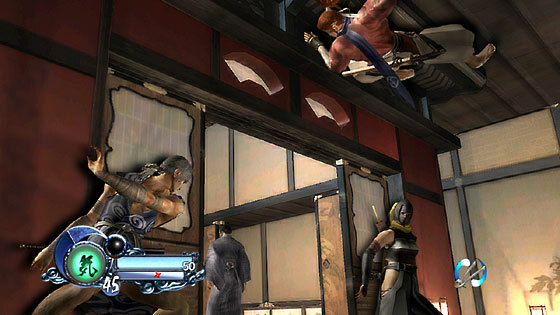 But here's the thing - at several points in the story mode, Tenchu Z decides that you /have/ to fight your opponent. And they'll have a ton of HP, and if you have any intelligence, you will have poured all of your character stats into agility anyway since stealth moves are one-hit-kills, regardless of your strength. And the combat is awful. Weak, wiry combos with swords that feel (and sound) like they're made of tin foil, and lame AI that basically requires you to just do the same combo over and over again. Hope you like Izuna drops. This is the bit where you expect me to turn around and be like BUT NONE OF THAT MATTERS because the core gameplay is good, right? The AI is as thick as a post, and most situations can be easily evaded by knocking your opponent over and jumping onto a nearby roof. Then they'll forget about you and return to their same default patrol pattern. Crawling into nearby bushes works too. There's a huge variety of skills and items available, like wall-running, disguising yourself as enemies, and hiding against walls with a sheet that makes you invisible somehow, but honestly, none of these skills are very useful. Every level can be beaten just by learning enemy patterns, sneaking up, and getting lots of stealth kills (which are mandatory if you want to achieve a top ranking). All the other skills are either too expensive, too ineffective, or too incomplete (great, you can stick to ceilings, but the AI guards move so slowly that by the time they're underneath you, your grip meter has run out). There are some viable skills, and they're skills worth learning if you want the best ranking, but it wouldn't be Tenchu Z if they didn't also have major flaws. You can partially open doors and peek through without getting seen, but that requires you to press basically every button on your controller in a specific order, and doing it wrong will cause you to loudly cut the door down. You can put your ear to the ground and listen out for guards (whose sounds will be represented on the map in a similar manner to the radar in some of the MGS games) but you better know what five buttons you have to press in what order if you want to do it. 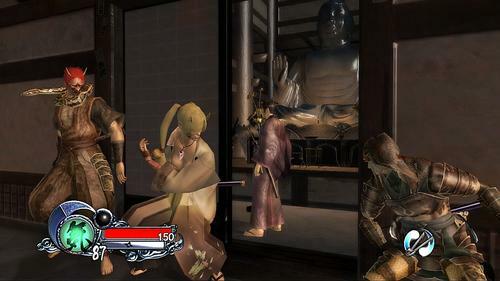 Similarly, you can stab your target through the shoji screen as they walk past (a gimmick the game throws at you basically every other mission) but the timing is so finnicky (they have to be stood exactly in the middle of the left hand screen) that it's very easy to miss and again, loudly cut the door down - there goes your 5 star ranking. So now you're probably thinking, "Gee, Midori, you handsome, wonderful man, you don't seem to like Tenchu Z very much. Why did you post it here?" and it's very difficult to articulate why. 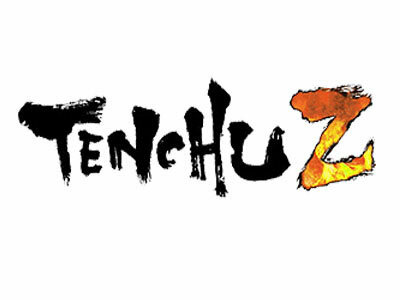 Tenchu Z isn't just considered a bad game, it's just a bad game. If AAA releases are equivalent to hollywood blockbusters, Z is a straight to DVD sequel to the sequel to the sequel of a film that people cared about a decade prior. It isn't even so-bad-it's-good. 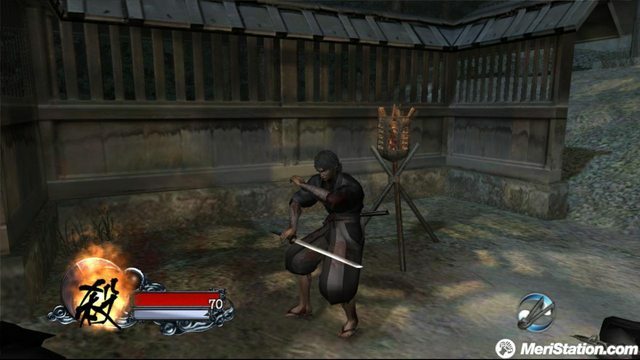 But I LOVE Tenchu Z. I love this game unashamedly with all my heart. I've beaten all fifty levels of it like two or three times. It gets so much wrong, and yet it's such a charming and likeable game. It's not very difficult, and it's not even rewarding, but it's still so satisfying to cut your way silently through a mission and get that Ninja 5 ranking. I love how you can customise your own ninja, then go online and join a cavalcade of dedicated players, all with their own colourful cast of assassins, and you can all play through the same repetitive set of "50" missions together. And it's really, really fun. Running along rooftops and landing those clean stealth kills still feels great, even after all those years. You'll perch atop a roof and stare down at your next target, hand on your sword, and you will feel like you're the angel of death. Sure, it's not as flashy as, say, Assassins Creed, but somehow it's infinitely more enjoyable - it has so much more heart and personality, and allows you so much more flexibility in who you want to be or how you want to get things done. And it had four player co-op! Assassins Creed only got that last week! Tenchu Z was the only true ninja game to come out last gen. Of course, we got a few Ninja Gaiden games, but those are action games. We got about a hundred Asssasins Creed games, but those are exercises in heartless corporate drivel. We got Ninja Blade (also From Software) but that was just several hours of QTEs. No freedom to speak of. If Assassins Creed is that beautiful girl you used to have weird feelings about in year 8, even though she was totally vapid and had nothing in common with you, Tenchu Z is that one dog at your local rescue shelter that nobody wants. It might be a little ugly, it might smell kinda bad, and it might be too old and dumb to catch frisbees or do any cool tricks, and if it's anything like my Tenchu Z disc, he will eventually collapse in a puddle of its own piss and die, but the love and the memories you'll share will last forever. 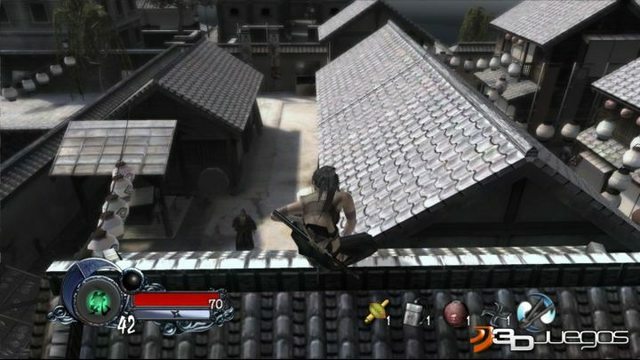 Tenchu Z is the ultimate proof that totally "objective" game reviews are a total waste of time. Tenchu Z is not objectively good. eton mess, I kinda struggle to tell you why Tenchu Z is subjectively good. But take my word for it - if you ever see this game lying around in CeX for like £3, pick it up, take it home. This old dog has plenty of tricks. 4/10 - one of my favourite games ever. The best worst game ever.